New Forest National Park Authority: Pure Town Planning are pleased to have announce that we have just won an appeal in the New Forest National Park resulting in planning permission being granted for the erection of a substantial outbuilding. 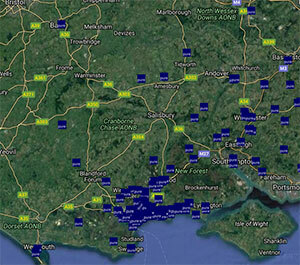 The appeal site is located within the small hamlet of South Weirs near Brockenhurst in Hampshire. The existing detached property is set within an extensive plot and following its renovation by new owners, the applicant sought planning permission to demolish a number of existing outbuildings situated within the south west corner and erect of a ‘u-shape’ 10-car garage and workshop with a central courtyard. Prior to our involvement, the applicant worked with architects Anders Roberts Cheers who successfully secured permission for an alternative scheme, whereby the development was broken up into two separate built forms. Whilst the approved scheme was a significant improvement upon the existing arrangement, the applicant’s preference was to erect a single building with the same floor area. 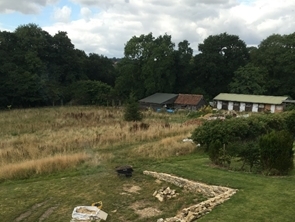 The revised application was submitted and subsequently refused by the New Forest National Park Authority on grounds that the scale, design, form and character, would fail to be appropriate or sympathetic to the site’s setting within a rural landscape and would therefore be harmful to the local character of the area. At appeal, we prepared a robust argument in favour of the application and sited the Authority’s inconsistency in determining the previous application, whereby they had granted permission for a development of a comparable size, albeit that it was contained within two built forms. Overall, we were successfully able to persuade the Inspector that the proposed development was of an appropriate scale, design and form which respects the existing rural landscape and protects the character of the area. The client was understandably delighted with the decision and stated “thank you so much for conducting the appeal so satisfactorily.” If you have recently had your planning application refused, speak to Pure Town Planning for a completely honest review of your chances at appeal. Remember you only get a small window to appeal your decision (12 weeks for householder refusals! ), so do not delay getting in touch with us to discuss your options.